APROCONE (Advanced Product Concept Analysis Environment) is a project to develop improved methods of collaborative product design using novel information systems technologies. One part of the project focuses on methods for sharing data to enable improved integrated aircraft design. 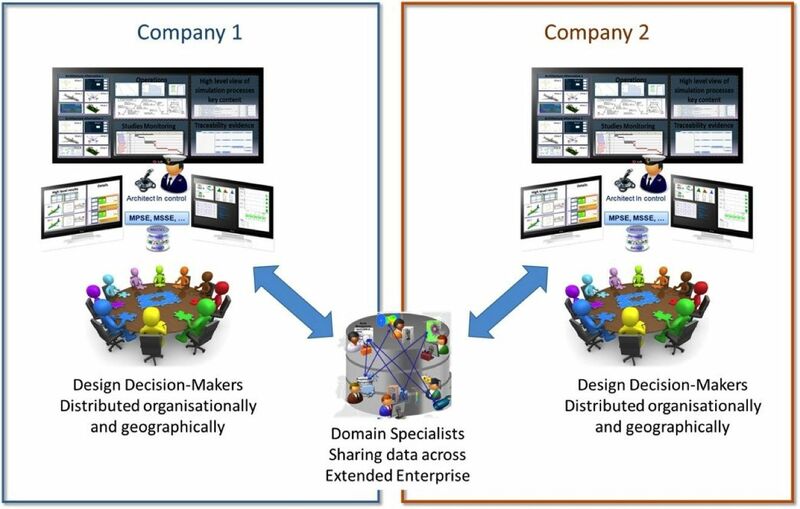 Through better data sharing, parallel design studies can be carried out by supply chain partners as partners do not need to wait for the latest information to be sent. This has the potential to speed up the design process as well as enabling better product design and cheaper products. Product data is shared via a central platform in a secure way. Companies can control and manage their intellectual property, which helps to promote trust in data sharing. Sharing data in the aerospace supply chain to create the capability to design aircraft wings in a more innovative and time-efficient way. Aircraft and engine design data is used to improve integrated product design. The project is currently an R&D project with public and private sources of funding. The technology provides a common platform for data sharing between project partners in a supply chain. The project consortium is led by Airbus and includes Rolls-Royce and other supply chain partners, and academic partners. The partners have expertise in modelling and simulation, integrated product design, and process automation. Constraints include commercial sensitivity and aviation regulations. A platform that allows the secure exchange and sharing of product data. Commercial frameworks are in development. APROCONE is a £19.2 million project to develop new methods for aircraft design. It will create capability for UK companies to design aircraft in a more innovative and time-efficient way to meet future market and environmental needs. The development of such a capability puts the UK in a competitive position in future. The project is jointly funded by industry and government, the latter under the Aerospace Technology Institute. The project consortium is led by Airbus and includes Cranfield University, GKN Aerospace, MSC Software, Rolls-Royce, CFMS, and the University of Cambridge. The project recognises that digital technologies such as the internet and distributed computing can be used in collaborative product development. One focus of the project is methods for sharing data to enabled improved integrated aircraft design. 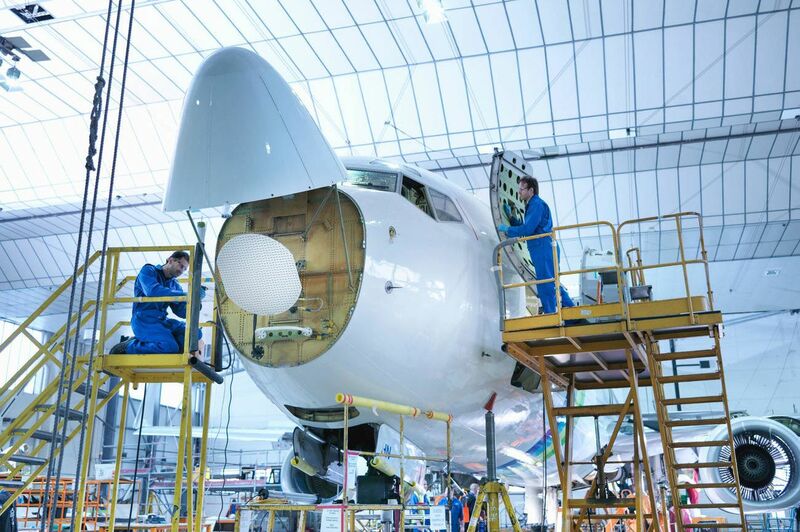 Other examples of collaborative product development include integrated systems and airframe design, for example, or ‘design for maintenance’, through better collaboration between aircraft manufacturers, supply chain and airlines. The transfer of data has always been at the heart of collaborative design processes. In the distant past, it was generated by physical testing or hand calculations and transferred by letter. With computers adopted in design, they now generate data and transfer it by electronic means. The process has not changed, although the means to do so has. As an example, Airbus and Rolls-Royce will transfer data at certain pre-agreed points during the design process. Airbus might initiate the design and then request information from Rolls-Royce about the requirements for accommodating the engine. Airbus will hand the progressed design back to Rolls-Royce, which will use this information in its engine design studies. With shared database technology, design and engineering processes can change. The project is investigating how to manage this information exchange from a technical viewpoint, by several shared-use cases that are realistic but not real, given the commercial sensitivity. The technology is already demonstrating transformation changes in these shared-use cases. It is currently a R&D project with both public and private sources of funding. The project uses SimManager, developed by MSC Software, and ShareAspace, developed by Eurostep. Both support the exchange and sharing of product data in a secure way. Collaboration partners use their existing analysis tools, making use of a neutral data-sharing platform for which it is easy to add and remove systems and partners. Companies can control and manage their intellectual property, which helps to promote trust in data sharing. Several areas are being developed as part of the project, including data standards, quality and provenance. The project investigates how best to define and record data provenance, and what data formats are required to create the right level of information that is appropriate to the process. In integrated product design, data handover is typically carried out as a series of discrete transactions within a contract-based process. The different parties will transfer the minimum information required to enable each other to proceed with the design, so as not to give away what is perceived as sensitive commercial information. The different parties do not have detailed insight into other parties’ design studies. The use of shared databases potentially transforms the commercial framework, since the sharing of information in this way is not compatible with current transaction-based processes. The project is investigating the impact on commercial frameworks required, alongside technical processes. For example, more information might be available to the various parties involved on the shared database, with conditions placed on who has access to the data and how the information is used. Technical and commercial aspects are increasingly coming together, such as the use of data tagging: conditions of use are tagged onto datasets and can be defined down to individual data points rather than at a more global level. Better data sharing also potentially increases engineering capability further in the supply chain. For example, if a component is manufactured by a company lower down the supply chain, limited data is shared by the OEM, such as geometrical data, loading or stress analysis data. The OEM does not share information about how that data was obtained, or how the component forms part of the aircraft’s design. Potentially, the OEM could give suppliers more freedom to create the needed component, leading to better product design or cheaper products. However, there are commercial barriers to operating in this way. Regulatory authorities, the Civil Aviation Authority and its international counterparts, tightly control the industry. The impact of current regulation on the new data-sharing environment is a research question that future studies will investigate. Engineering as a discipline is transforming, and APROCONE is helping to push this forwards. Engineering now depends on access to the information required to develop the product. Information management technologies will help to enable the transformation of engineering processes in the future.